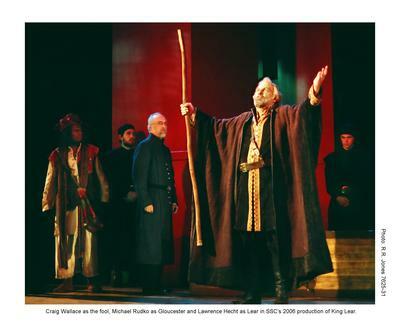 Craig Wallace as the fool, Michael Rudko as Gloucester, and Lawrence Hecht as Lear. Photographed by R.R. Jones.